What would you do if the end of the world was three weeks away? We’re not talking some crazy Harold Camping theory that won’t come true. We’re talking a 70-mile-long asteroid that’s three weeks away from hitting the earth, and not even Bruce Willis and Ben Affleck can save us. This time, it’s really gonna happen. That’s the scenario facing the characters in Seeking a Friend for the End of the World. When the movie starts, Dodge (Steve Carrell) and his wife are hearing the news that the end is near — but don’t worry, there are still plenty of classic rock tunes left to play! (That’s the first of a few good laughs.) She promptly opens the door and leaves him. Lost and distraught, Dodge keeps on keeping on. He continues to go to work selling insurance (apocalypse package not included), continues to work out, and just keeps operating like nothing’s wrong. After all, what else is he gonna do? Party it up, that’s what! Not wanting to waste a moment, Dodge’s friends (Rob Corddry and Connie Britton) try to set him up with another woman, and throw a big party where anything goes and where the laughs are free-flowing, thanks to folks like Patton Oswalt. Oswalt’s character tells Dodge it’s a perfect time because women don’t have to worry about getting pregnant, and no one has to worry about STDs. Hell, you can even sleep with your sister if you want to! Ha! If only the rest of the movie was as amusing as this first section, with its absurd, darkly comedic tone. 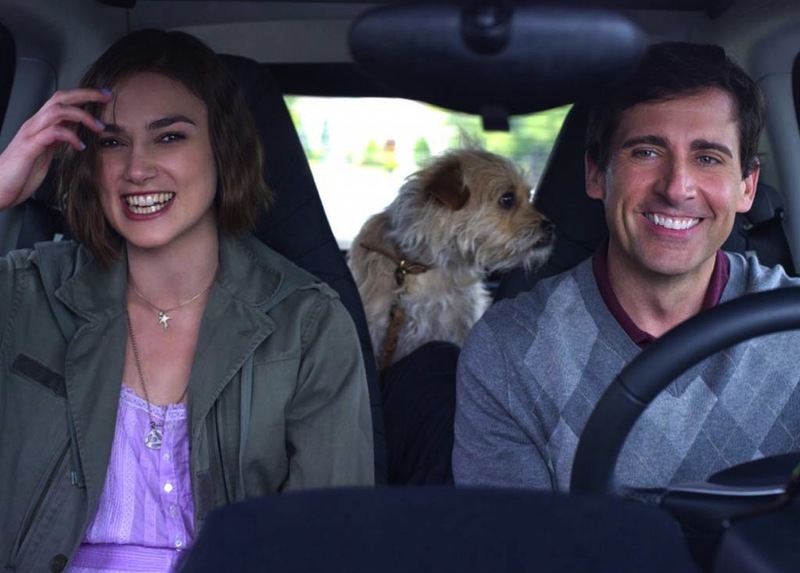 Instead, Dodge decides to take a road trip to find his high school sweetheart, and he takes with him his quirky but depressed neighbor, Penny (Keira Knightley), who conveniently decides to cry about her fate right outside Dodge’s window, as if he wouldn’t see her there. What does she have to cry about? Well, Penny’s missed her one opportunity to head overseas to spend her remaining days with her family in the U.K. So Dodge and Penny hit the road, and that’s when the film becomes less interesting and more inevitable. The screenplay by Lorene Scafaria (Nick and Nora’s Infinite Playlist), who makes her directing debut here, keeps putting these two in episodic scenarios that introduce character after character — including ones played by T.J. Miller and Community’s Gillian Jacobs at a restaurant called Friendsy’s. And what this keeps on reminding us is the end of the world is only fun when people are enjoying the end of the world. That these two eventually fall in love and decide they’re soulmates (what? huh? spoiler alert?) seems to only happen because it has to. It makes about as little sense as the idea that the safest place to be when the world is ending is suburban New Jersey, where apparently there’s still plenty of food, running water, power, and tranquility. Or that Penny could possibly reach the U.K. in a prop plane that just so happens to be sitting there ready, with enough gas in it. 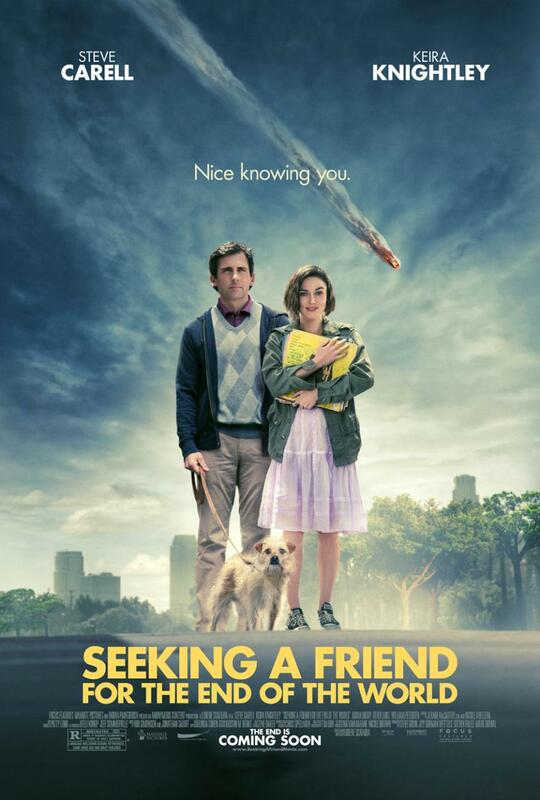 Seeking a Friend has a lot of questionable things going on, and it never really takes full advantage of its potential for good comedy at the expense of the apocalypse. What it comes down to is that we’re stuck with Dodge and Penny, when we’d much rather be partying it up with his friends. It’s the end of the world as we know it, and I don’t feel fine about recommending this movie … so I’m only going to give it a C+. How would you spend your remaining time if you learned the world was ending in three weeks? Share your thoughts in the comments field below. A totally uneven film, but somewhat lifted up by Carell and Knightley’s performances. Hopefully, Keira picks up more comedic roles for her because she’s actually pretty damn good at them believe it or not. Good review.